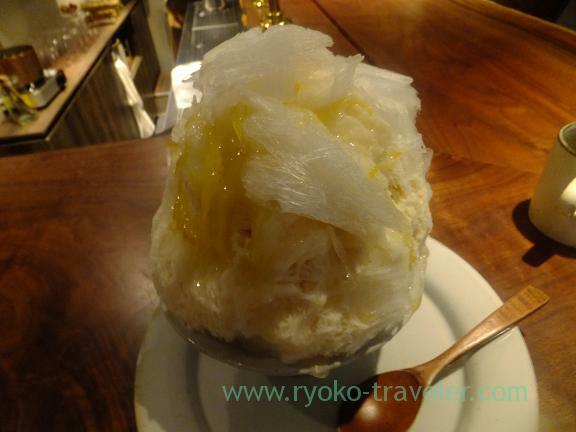 Rupurin located in Ginza is a bar that serves tasty dishes, local beer and natural ice kakigori in nighttime. 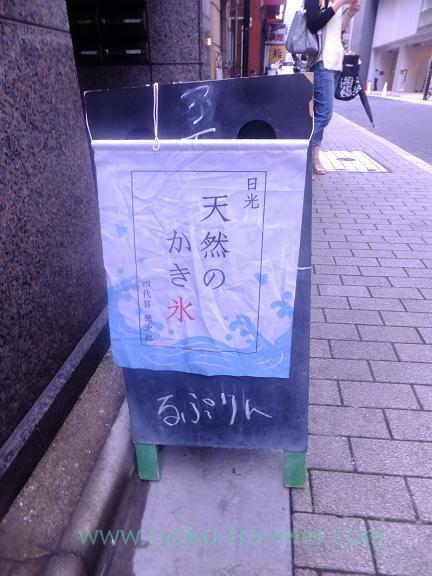 And during this summer, they open weekdays daytime and serve only kakigori. Kakigori time ! 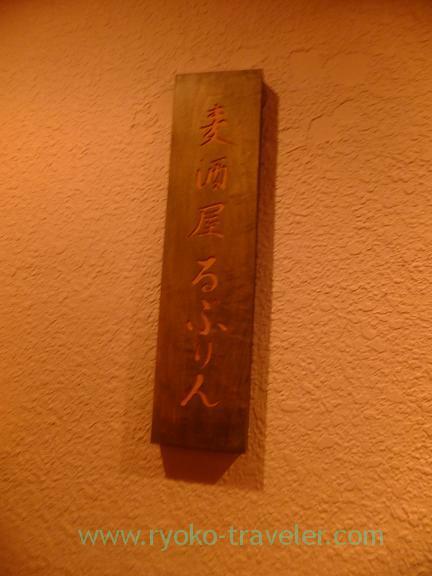 I knew it is so tasty because I had eaten before. To tell the truth, I didn’t like kakigori so much nevertheless I eat kakigori much nowadays. Because usually kakigori is too cold. Of course ! It is ice ! It is natural that eating ice make me get chilly. Cold. I’m almost frozen. Every kakigori I had eaten was only shaved ice with syrup.100% ice. But I found there are many kakigori that have fruits, jelly, ice cream or cream. 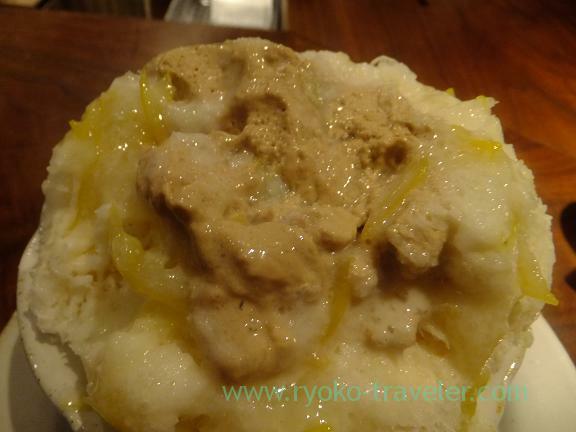 Also this kakigori have sliced organic lemons preserved in syrup on the kakigori as you see. Not only that, there are such a ice cream in it. It is ice cream, but the ice is too cold, so I felt this cream was warm. Sorry, it is not good photo:( Those ice was melting…. But you can see ice crem, kakigori and lemon peel from this photo.